Home / Progress / Company / Updates, the next steps and a treasure hunt? We summarize it all. The smart contract was revised, audited a second time and enhanced. The white paper has been updated. Airdrops of 1.3 billion TRAT to 14,200 users have been conducted. The first iteration of the beta platform has neared completion, just over seven months ahead of schedule. There has been active engagement and support from the public and community, demonstrating strong belief in the project, its mission and potential to change the industry for the better. One of the biggest challenges facing the industry is fraud. Countless man hours have been invested by the team to combat those who seek to abuse airdrops and free systems. The extent of the fraud was massive, with in excess of 80,000 multiple and fake accounts attempting to sign up to obtain Tratok. We are proud to say that we took the high ground and invested our time to ensure we did the fair thing and reward legitimate participants. We will always strive to do justice to the community. A second significant challenge and an industry wide problem is the behaviour of many dishonest exchanges. From faking trade volumes, to demanding outrageous and unrealistic fees for listing, many of the well known exchanges are limiting the ability of legitimate projects from receiving widespread recognition. They are focussing on short term gains and not showing the proper respect or care towards their clients. This behaviour is very harmful to the industry and is hindering growth and widespread adoption of blockchain technologies. So what are the project’s next steps? We will launch the first iteration of the travel platform which is powered by the Tratok token. The first release will provide the facility for travellers and service providers to sign up and verify their identities. In addition, the social aspects of the platform will be live (user to user messaging, commenting on walls etc.). To encourage users to sign up, as per our original plan, the first one million users who sign up and verify their accounts will receive 10,000 TRAT each. The first module to be live at launch will focus on the expectations of millenials and increase our market share in that niche. This will be done by empowering users to register their properties for rent on the Tratok platform as a bridgegap while hotel chains join the network. This is a very important step to Tratok as it serves to make travel more affordable and accessible from day one, honoring our primary project goal of making travel more accessible and bringing the world closer together. We are expanding our activities and two of our management team will be heading to Africa to penetrate the market there. We will continue to refine and update the travel platform adding more features. As we prepare for the launch of this product in December, we would like to call on the community for support. 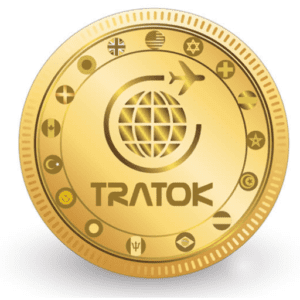 As early holders of Tratok, you are important stakeholders in this project and we would like you to help us get the word out. 1.) Tratok Video Competition: 10M TRAT prize pool. We are giving away prizes to the top 50 videos that promote Tratok. Make a short video answering a few of the following questions and share it on social media or mail it to inspirations@tratok.net. The competition starts from today, 24th November 2018 and ends on 8th December 2018. What do you love the most about the Tratok project? Why you would recommend the project and platform to friends? Where would you want to travel using Tratok? The industry problems that the project solves and why this is a good thing. The Tratok Team will create 50 wallets and send 1 million TRAT into each one. The wallet details will then be shared with team members and vetted community members in 50 different cities. These wallets will then be hidden in envelopes in popular areas in the different cities, with clues posted on social media and in the local press. The aim is to add an element of fun and spread awareness about the project in a unique and creative way.